Advanced Insurance Services (AIS), Agency Inc. is a fully licensed insurance agency that specializes in providing employers and individuals with the best insurance plans available. Our competitive rates, years of experience and superior customer support makes AIS an excellent choice when it comes to developing and implementing a comprehensive insurance plan! We’re an independent agency – we work for our customers, not an insurance company. This means that we are able to offer a wide range of plans at competitive prices. We have experience developing heath plans for small, medium and large businesses. We offer free individual and group quotes. We represent all the major US insurance carriers. We have a dedicated staff of experienced insurance agents on hand to help you choose the right plan based on your needs and budget. Our partnerships with major insurance providers allow us to deliver the best plans at the best rates available. We’re familiar with current US healthcare laws under the Affordable Care Act (ACA), aka “Obamacare.” We’ll make sure you’re in complete compliance under the law and help you get all the benefits and cost savings the ACA offers. Our representatives are available to answer any questions you may have. We make it easy to get covered, offering you free online quotes from top insurance providers. We’ll be there if you need us. If you should have to make a claim, we’ll be there to make sure you receive a fair and prompt settlement. 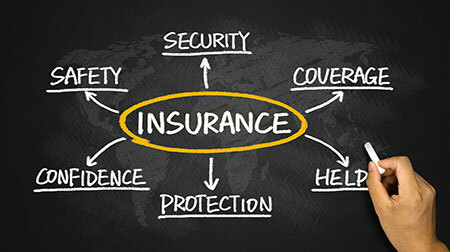 The AIS has been providing affordable insurance coverage to businesses and individuals for over ten years. During that time we’ve earned a reputation for providing excellent support, savings and service to our customers. It’s one of the reasons why AIS is one of the fastest growing insurance companies in the US. At the AIS it’s all about you. We want you to get the best insurance coverage for you, your family and your employees.